Thank you everyone for your supportive comments on my last post! It was just really frustrating in the moment, but I felt miles better after reading all of your lovely comments and the day after was better as well! All right, now we have, a day later than normal, another installment of On Nnenna’s Needles! When I’m not carrying around all of the books and notebooks I need for class, I like to carry a smaller bag. I also really like bags with a long strap, so I can sling them across my body and have free hands if necessary. So when I saw this pattern, I knew it would fit right in with my style. 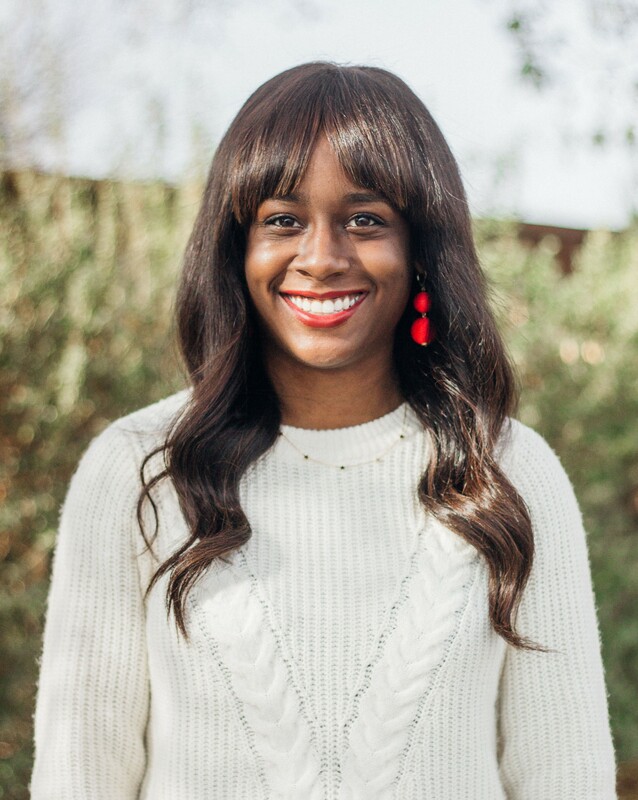 I chose this color because I love burgundy and also because I thought the detail of the pattern would look really nice in a darker, rich color. 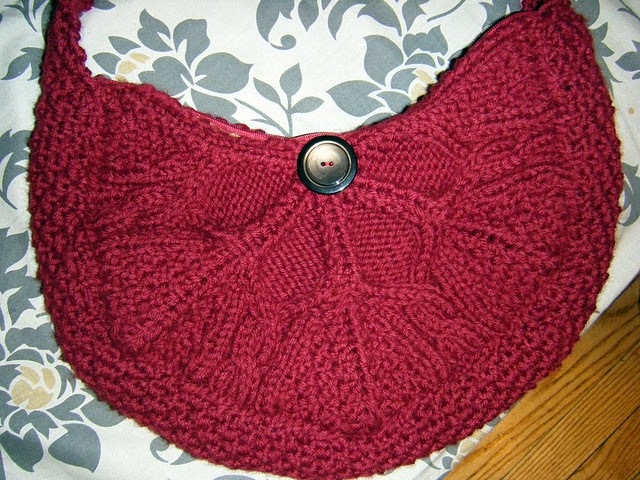 The body of the bag was actually knitted in several pieces, which I then sewed together. After doing that, I went to Joann’s and chose a complementary fabric to line the bag. 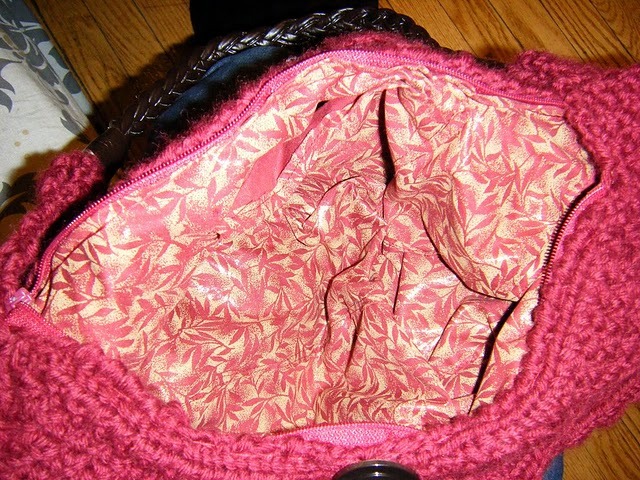 First I attached the lining to the knitting, then I added a zipper as a closure. 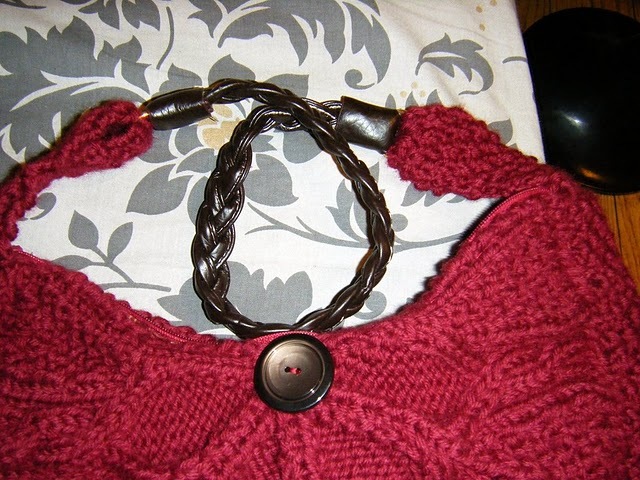 Finally, I sewed on the brown braided strap that I also purchased from Joann’s. 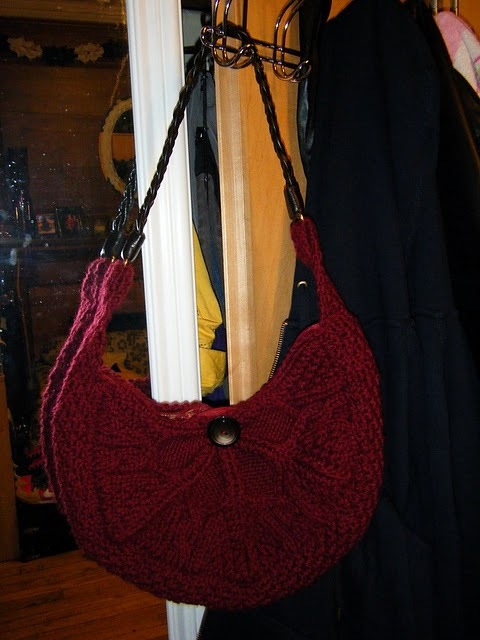 I’m rather pleased with the end result and only wish I remembered to use this purse more often!